What is 2 Part Delivery? It's a great way to get a tangible gift FAST! 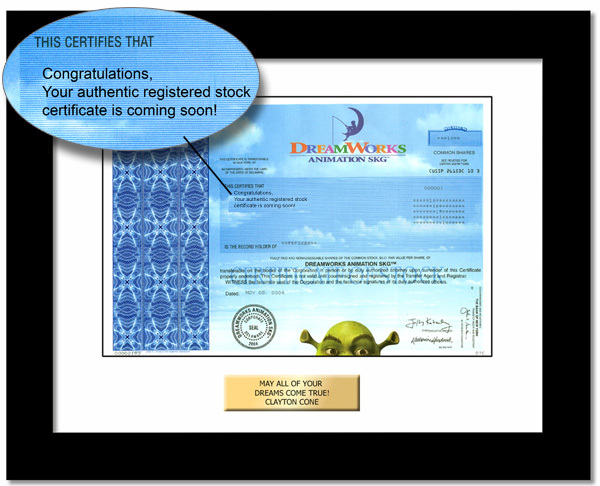 Available on Authentic Registered Stock Certificate orders. 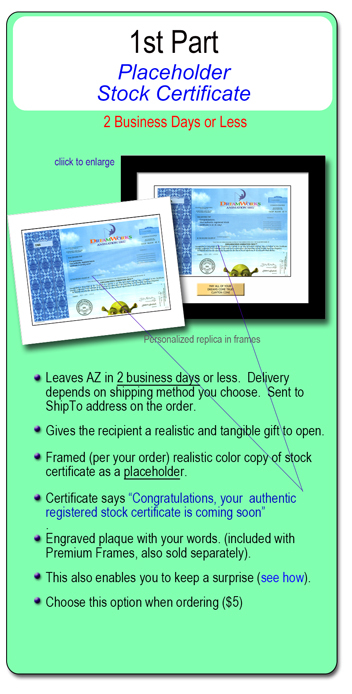 First, we quickly ship a placeholder color copy of the stock certificate framed per your order. This leaves our Arizona facility in 2 business days or less. Combine it with expedited shipping options from UPS to get it there even faster! 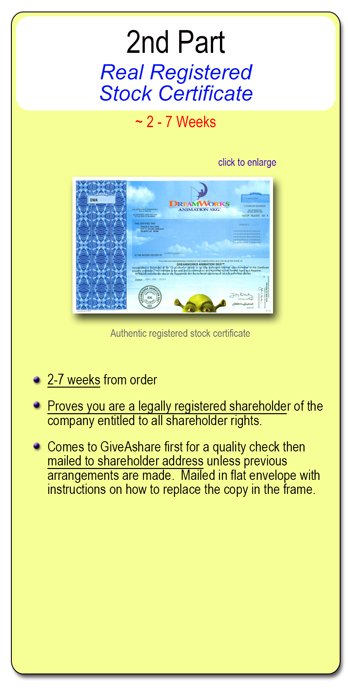 Then, when the stock registration process is complete, the shareholder receives the real registered stock certificate. "I always wait 'til the last minute to buy a gift. I had to have something tangible to give at the party - a note wouldn't do. Your 2 Part Delivery saved my bacon. 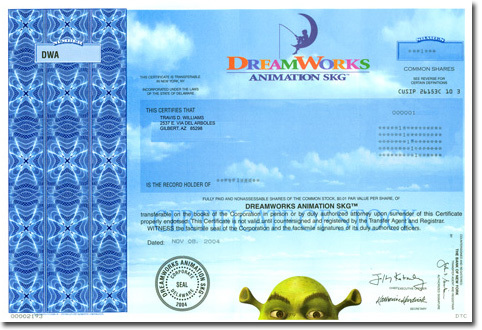 It looks real and was just like giving the real thing."